Let me start by saying that fly fishing in the salt along the Upper South Coast has dwindled to a trickle these days, mostly because the fish stocks have been soo heavily plundered that one has to fish day after day without much success and so, people are losing interest and turning to other species such as Trout, Yellow fish, Bass and Carp, or are confining their efforts to travelling to more remote places where the fishing is more rewarding. 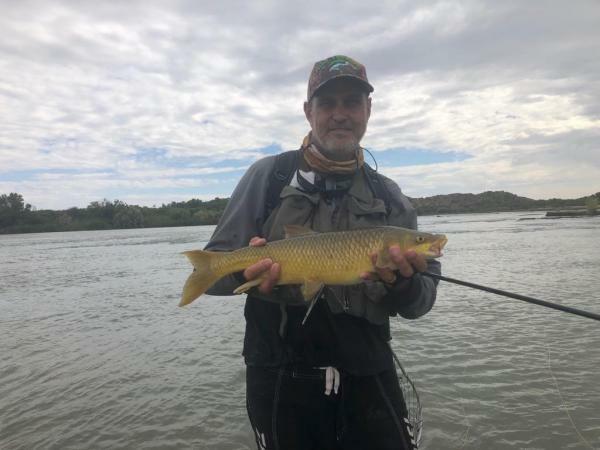 So, with that in mind a group of local fly fishers travelled to the Orange River just below the Gariep Dam to try our hands at catching Yellowfish and other fresh water species. We left at 2am and travelled through to Bloemfontein where we breakfasted (Baie dankie aan Sakkie Malherbe vir die heerlike ontbyt en die lekker geselskap by " IEWERS Nice" in Westdene Bloemfontein), before making our way to Gariep where we arrived at De Lance Chalets and Coffee Shop in Gariep. 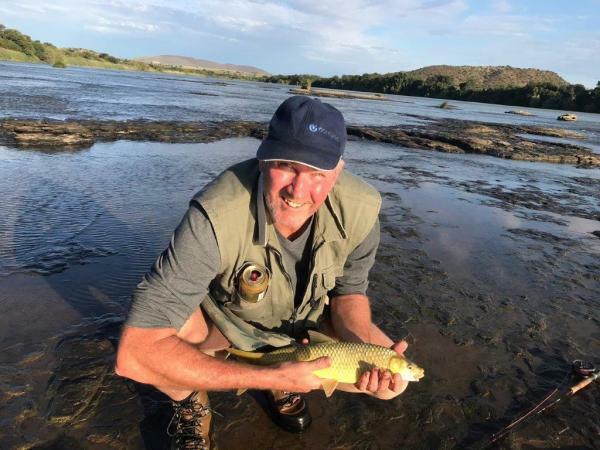 After a quick unpack and a cup of the best coffee by our team barista Craig Charity of" Lineage Coffee" in Hillcrest, we were on our way to fish the Orange River from the banks, and by wading, slipping and sliding across the river. 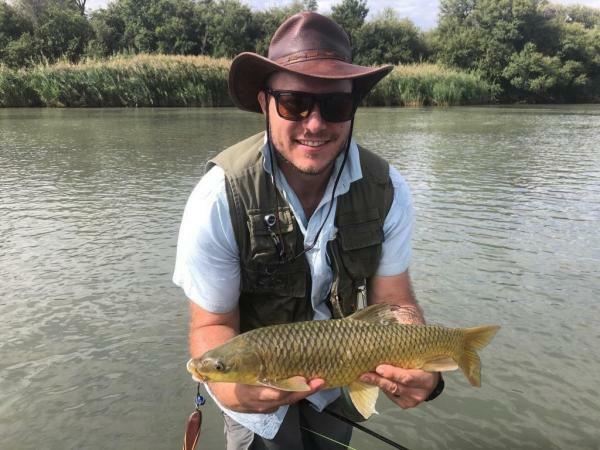 Chris Rothman immediately began to prove his skill in catching Yellowfish by catching the most and biggest Yellows of Thursday afternoon and continued to do so for the remainder of the trip. 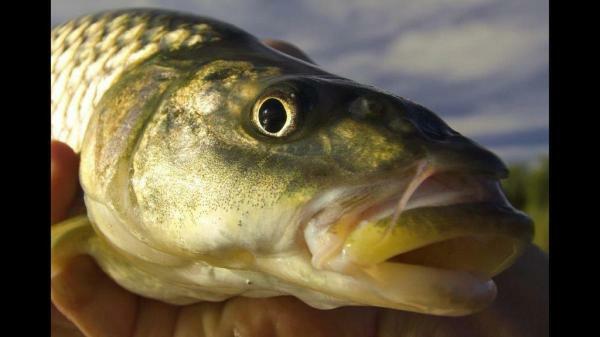 Friday morning started well around 6am with the guys getting into some nice Yellows. The Vanderkloof Dam water was supposed to be released at 10am, however by 8.30 we had to get off the river very quickly because the sluice gates had been opened early due to the Mozambique disaster cutting power to South Africa and the urgent need for power. Unfortunately, Marius was a little slow in reacting and was caught on one of the islands in the centre of the river and forced to bide his time there for about three hours while he waited for the river level to drop again. We were relieved that the river did not rise any higher otherwise he would have had to climb into a tree. Luckily, he had food and cool drink with him, but he has now been named Robinson and been subjected to some frequent leg pulling. By two o'clock in the afternoon the river had receded enough for us to resume fishing and as the late afternoon wore on the fishing got better and better. Saturday was the same routine with the water rising early and interrupting the fishing but never the less we had some great fishing and by walking the river banks we gained valuable knowledge of the area which I am sure will be put to good use on our next trip. By late Saturday evening the group had caught and released close to 200 Yellowfish and a few Barbel and Mudfish. The fishing along the river was very good and would have been even better if the sluice gates had been opened later and less water released. Thank you all for an amazing trip. 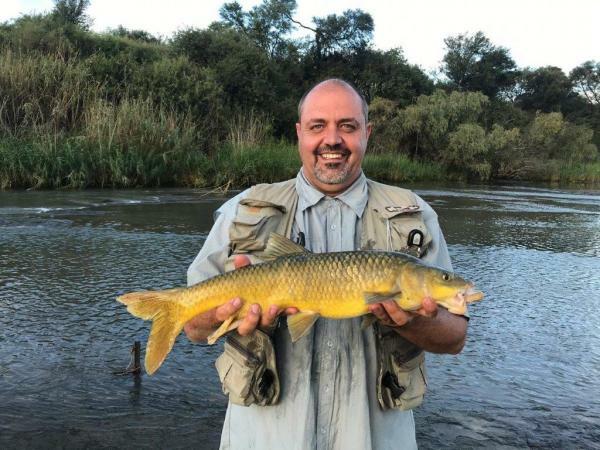 Would we travel 850Ks to fish for Yellows in the Orange River again? If you are a birder the bird life along the river is prolific or if you collect Banzai there is an additional interest for you. Beow are some of the photos from our trip.